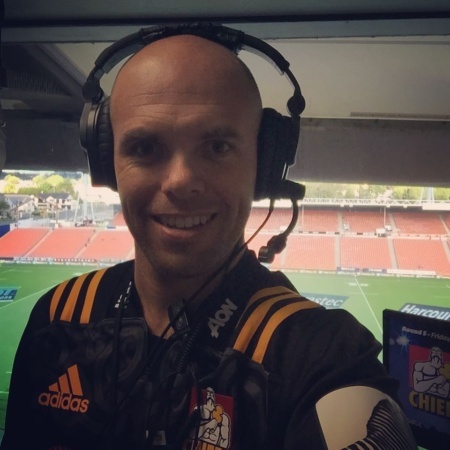 For the 2018 Super Rugby season, Ridler DJ had the chance to work with the Waikato Chiefs Rugby Club as part of the Match Enhancement team. 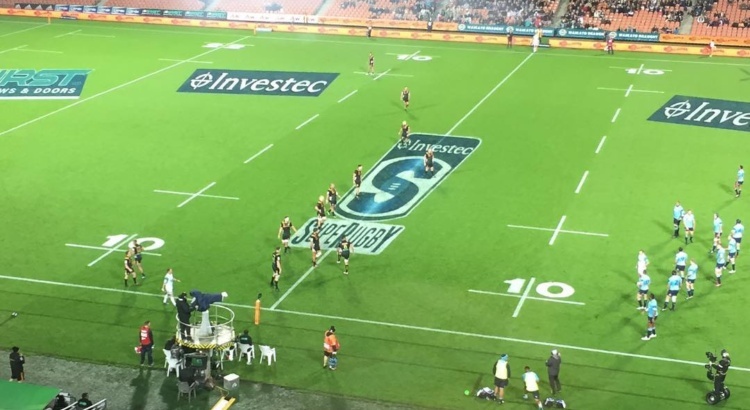 This was an exciting opportunity to work with one of the best Super Rugby franchises in NZ as they set to revitalise their Home Game interaction and entertainment at FMG Stadium Waikato in Hamilton on their road to the Finals (which also incorporated their away ‘Home Games’ in Rotorua and the pre-Season in Te Kuiti). Being a seasoned professional when it comes to speaking at events, the team at the Waikato Chiefs Rugby Club got in touch to discuss their plan for the 2018 Rugby Season and if I would be interested in coming on board as their main Ground Announcer for the home games and being their ‘official voice’ for key information, sponsor messages, score updates and more. I was honoured and couldn’t wait to get started and give them Chiefs fans something new and more engaging than what they had previously. The Waikato Chiefs also added as part of their revitalisation of the Home Games 2 new ‘on the field announcers’ for important information during the games covering player substitution as it happened and the opportunity to engage further with the fans on the ground to make it both an exciting and informing experience. Another DJ located within the stadium provided the right mix of music to ensure the crowd attending was upbeat about the game while adding to the experience of attending a Home Game to see their team play on their turf. All put together by the experienced team at SBI Productions. With all this added this season, it meant a few new faces and tweaks to get it right but it was the teamwork and the end goal in mind that made the season fun for fans as well as for those behind the scenes. It was different and feedback had been overwhelming positive. It’s been a fantastic year working with the Waikato Chiefs and certainly hope to be involved again with the team for the next season and beyond!